GEL Solutions performed geophysical services to support site characterization for the design of soil and groundwater remediation programs at a federal Superfund site. 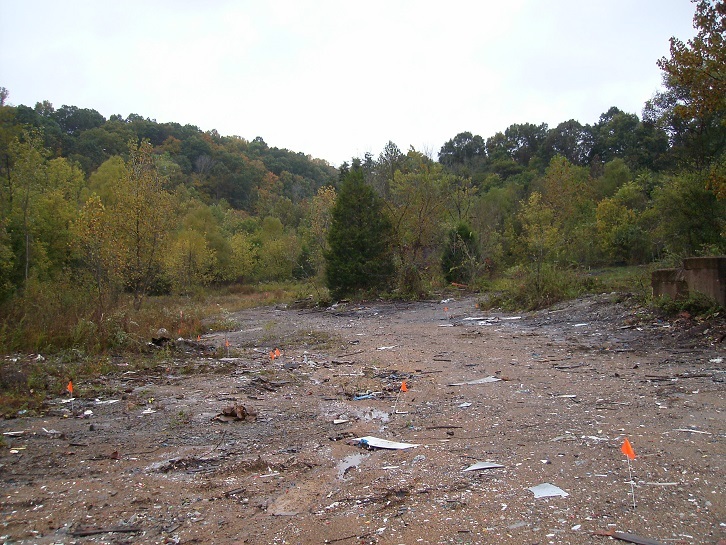 EPA Region 4 was assessing sources and potential migration pathways of groundwater contamination at a former charcoal manufacturing site in Tennessee. Due to the prior activities at this site, a variety of organic compounds are present in the groundwater. By collecting geophysical data at the site, the client wished to get a better understanding of contaminant sources and bedrock topography. The geophysical investigation consisted of an electromagnetic (EM) ground conductivity and magnetic susceptibility investigation, and a refraction seismic tomography investigation. The data was analyzed and plots of EM anomalies and the depth to the limestone bedrock and bedrock elevation were developed. The EM investigation revealed buried railroad tracks (which were reported to have been removed), and other presumably buried metallic objects. The refraction seismic data was compared to existing borehole data. The bedrock study revealed a highly irregular bedrock surface and a sudden unexpected drop in bedrock elevation which could affect the migration pathways for contaminants.